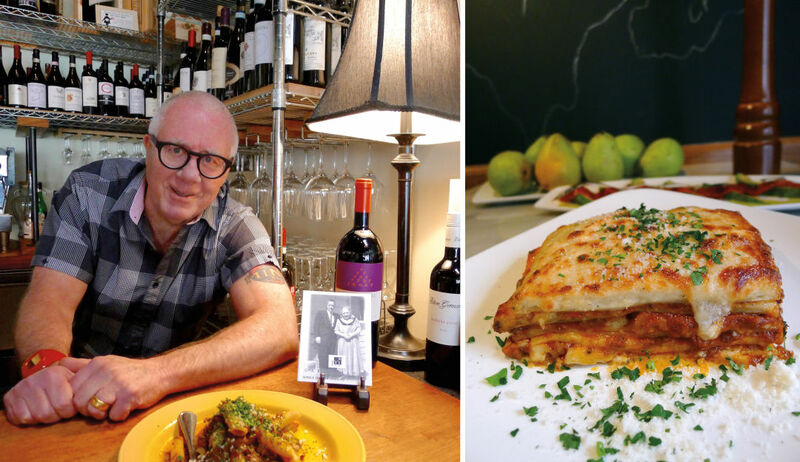 For epic lasagna, 69-year-old Bar Mingo chef Jerry Huisinga still hangs dough in the dining room. Want to play Portland restaurant poker? You’re holding: scratch pasta, a nerdy espresso machine, décor ripped from home, and basil grown by “Farmer Bill on Skyline.” Michael Cronan, accidental restaurateur and indefatigable front man, will see your five and raise you 10. He’s done it all, and never even left the block. 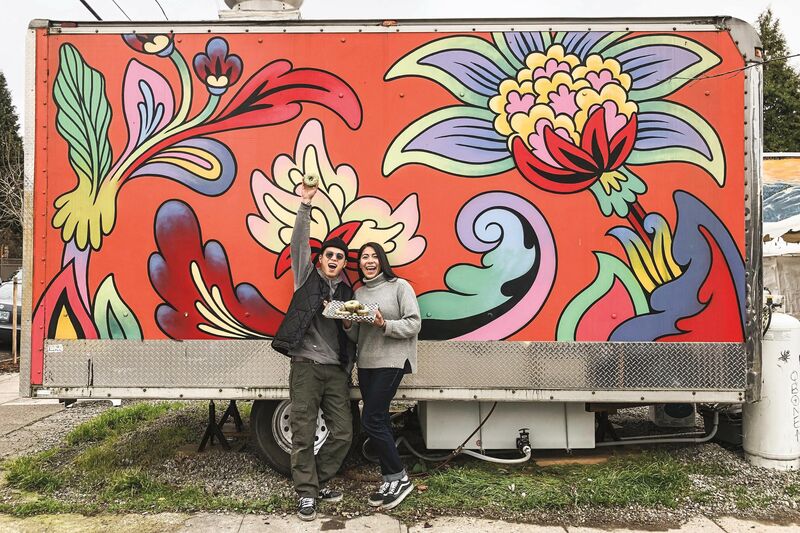 Cronan’s territory is NW 21st Avenue, between Kearney and Lovejoy, where he’s masterminded three Italian-food hangouts of note. His résumé includes the long-gone Delfina’s, the OG ’80s watering hole where Gus Vant Sant and Will Vinton held court and diners wondered at this strange green stuff called “pesto.” Today, with his thick art glasses and retina-searing red watch, Cronan holds forth at his enduring gem Bar Mingo most nights. It’s a house of marble tables, living room couches, and lasagna good enough to hang in a museum. Or, catch him steps away at Caffe Mingo, which looks like a still-life of a kitchen that cares, with its veal bone paintings, onion crates parked in the dining room, and good Italian wine bottles everywhere. Just look for the guy whose bicep has a Caffe Mingo tattoo, a staff gift for Cronan’s 70th birthday. 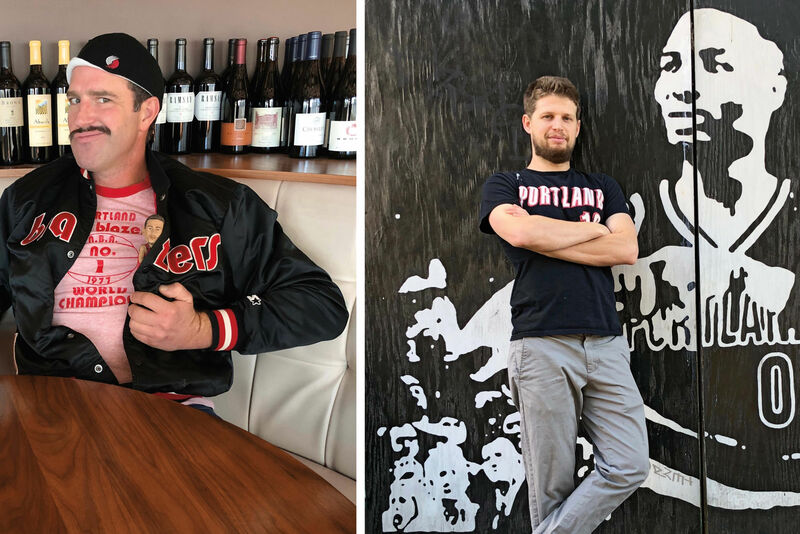 The Cronan continuum holds lessons for any up-and-coming chef or restaurateur who’d want to listen—especially as Portland’s scene slides into wild inconsistency and “borderless cuisine” confusion. 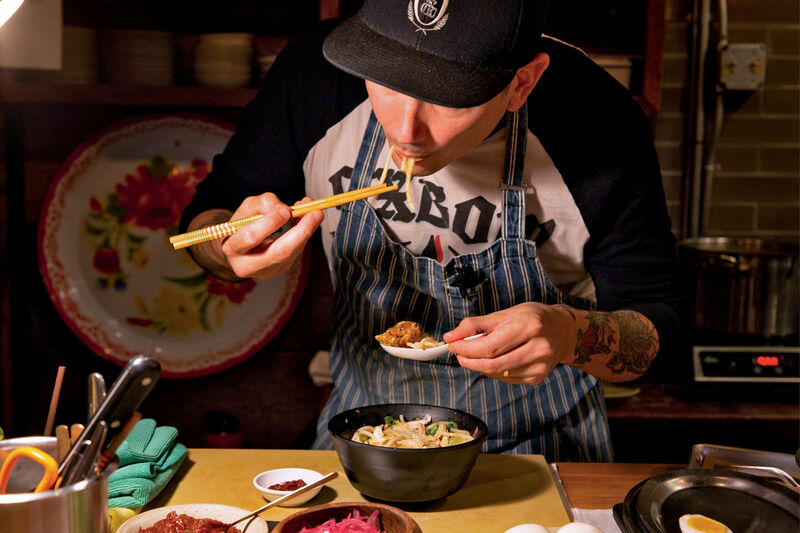 Bar Mingo turns 10 this April. Caffe Mingo is 25. But don’t call either an institution. There’s never a whiff of calcified cuisine or desperate gimmicks here. Sure, the hour-wait crowds have decamped, but eating at Caffe Mingo remains a vivacious experience. Cronan has never lost his way. Mingo is always true to its Mingo-ness: snug wood tables, angular bar, and lots of happy petals from nearby Sammy’s Flowers. Cameron Winery’s famed (and famously eccentric) owner John Paul is so at home that he merely walks in, grabs a key, and puts his own bottles in the cooler. The food (pastas, salads, fresh mozz and tomatoes, a bistecca) is what it always was: a taste of ’90s-era San Francisco Italian, not spectacular but a solid pleasure; comfortable in its own skin. Everyone still orders the wonderful sugo di carne over penne pasta, hunky shreds of wine-braised beef and earth perfumes. Add a glass of Barbaresco, and you’re golden. Next door, Bar Mingo remains a city treasure. Live jazz, Cronan’s latest brainstorm, is now in session every other Sunday, with musicians camped among the couches. 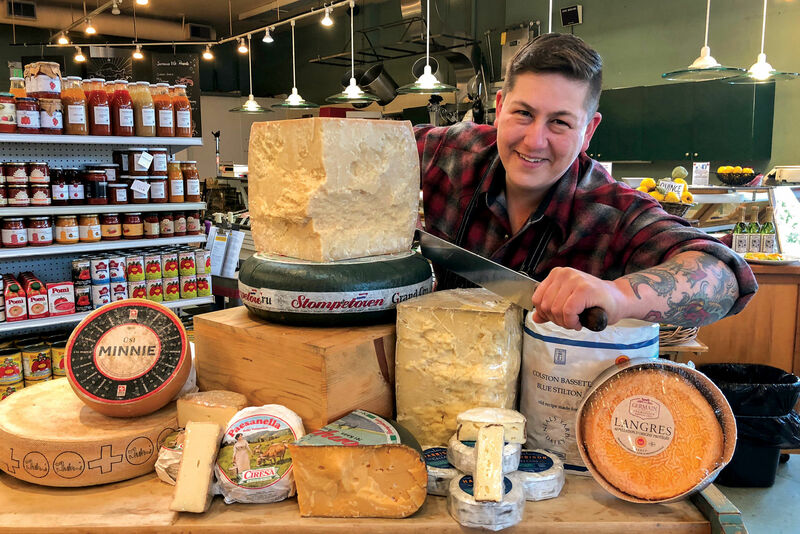 Chef Jerry Huisinga has been here from Day One, shopping to chopping (this after 22 years as the “pasta guy” at Portland’s legendary Genoa). 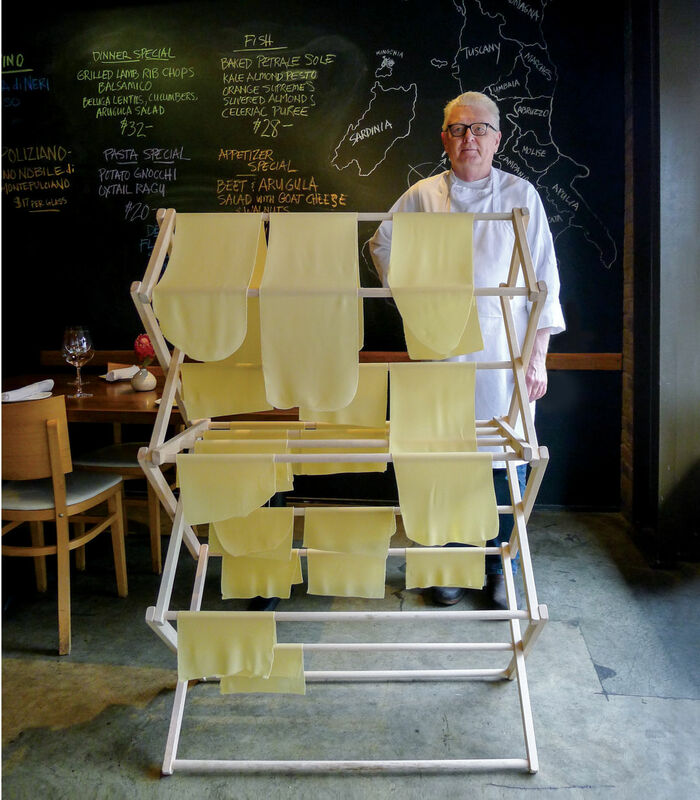 He seems fired up as ever, making true risotto every Wednesday, two batches only, laboriously stirred (no one does this), and rolling out up to five pastas daily, drying sheets in the dining room. Inside tip: you won’t find more tender, tone-perfect gnocchi around. 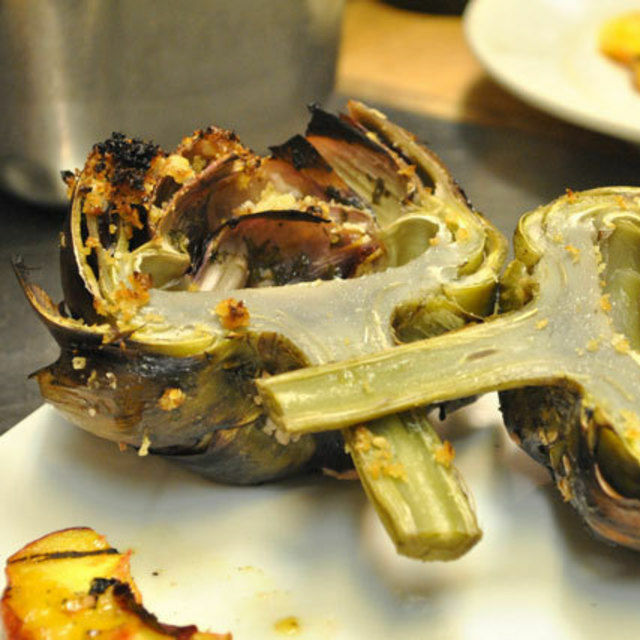 “It’s a feel thing,” confides Huisinga, and no one else in the kitchen is allowed to make it. Chef Jerry Huisinga's Italian institution on NW 21st has served seriously competitive Italian fare for over two decades, along with a well curated wine list.